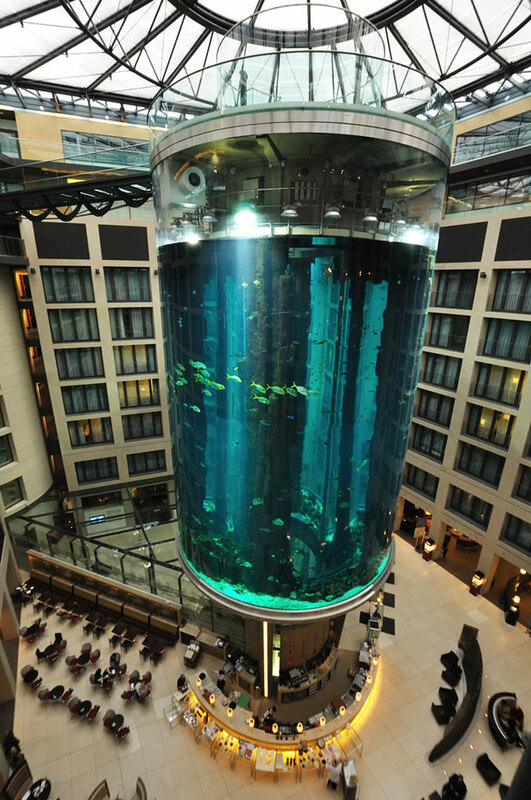 The Radisson Blu Hotel In Berlin, Germany may look like just another luxury hotel, however once you enter it, you will be blown away by the enormous 82-feet high aquarium in the heart of the hotel’s lobby atrium. 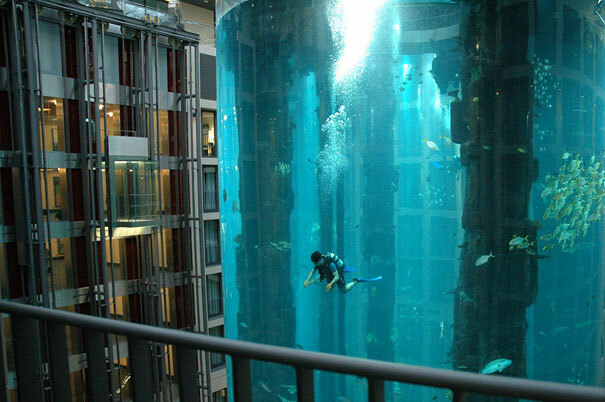 The AquaDom is the world’s largest cylindrical aquarium with one million liters of saltwater, and it is a stunning habitat for many species of tropical fish. 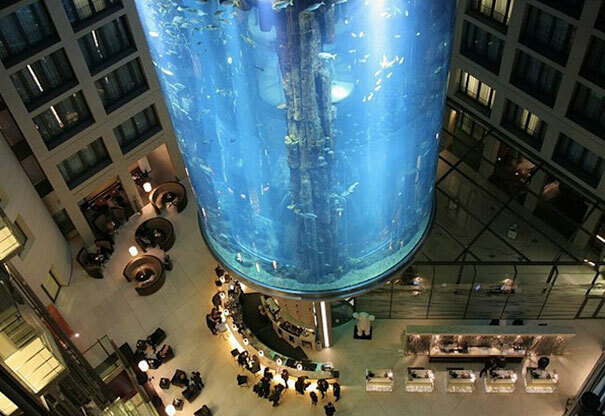 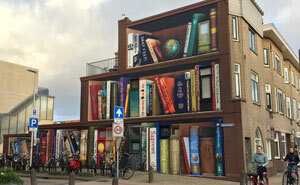 The AquaDom is maintained by the Sea Life Berlin, which is located right next to the hotel. Sea Life Berlin houses 30 freshwater and saltwater tanks, which are home to thousands of sea dwellers. 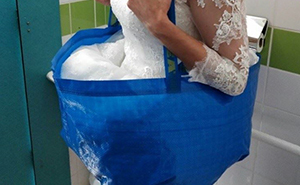 Unfortunately, the guests can’t go for a dive in the Aquadom. 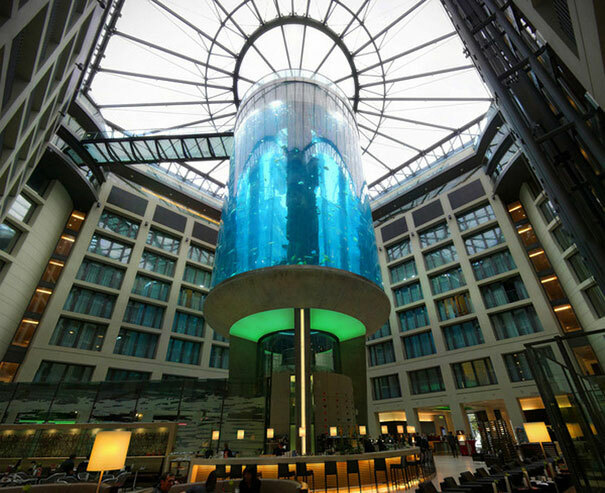 However, you can take the two-story elevator ride through the middle of the AquaDom, during which you’ll learn about both the tropical fish inhabitants and the architecture of the AquaDom.